Our range of products include automatic pressure booster pumps. Owing to a long-term destination for our business, we are engaged in offering a wide gamut of Automatic Pressure Booster Pumps. The offered booster pumps are designed using superior quality components and modern technology in line with industry norms. Our quality controllers test these booster pumps against different quality measures in order to maintain their quality. 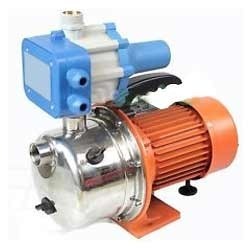 Besides, clients can avail these booster pumps from us at nominal prices. Looking for Automatic Pressure Booster Pumps ?